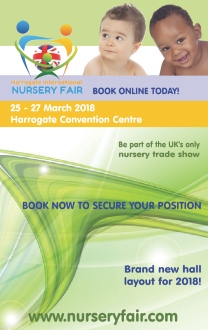 This year, once again the Association has organised some great speakers for its seminars at Harrogate International Nursery Fair on pertinent industry topics. With the General Data Protection Regulation (GDPR) coming into force on 25th May 2018, every company in Europe (and in fact worldwide if they process data including information about European nationals) this is guaranteed to be a topic of interest to everyone attending Harrogate this year. Regardless of whether you are a sole trader or a multi-national, you will be required to be data compliant. Sara Ludlam of 3Volution will explain the ins and out of this complex subject. 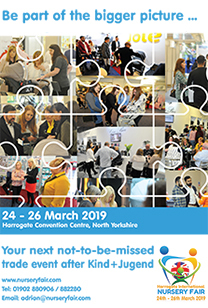 Leading market research company GfK also returns to the show this year and will be talking about how brands can maximise opportunities in retail. Anthony Williams will highlight the current retail climate and explain the value of high end products. New to the Seminar programme for 2018 is The Insights People, the most comprehensive and dynamic market intelligence resource on all things relating to new parents in the UK, from expecting mothers all the way through to parents of four-year olds. The Insights People surveys 125 parents with children aged 0-4 every single week, which is more than 6,000 every year. Jonathan Watson and Nick Richardson of the company will explain how shopping habits of new parents have shifted over the last 18 months as new parents have access to ever increasing amounts of information. CLICK HERE for full details of the Seminar Programme.